Nolan, who will be making his very first appearance at Cannes, is one of a multitude of filmmakers, past and present, veteran and fresh out of the box, who has been profoundly influenced by Stanley Kubrick’s masterpiece. Some of Nolan’s films, in particular Interstellar, have ambiguous nods to 2001, whether directly or indirectly. Some of Kubrick’s family are also making the trek to the festival, his daughter Katharina and his decades-long producing partner and brother-in-law, Jan Harlan. Kubrick himself passed away at the age of 70 in March of 1999, not long after completing his final film, Eyes Wide Shut. Other than 2001, Kubrick was also at the directorial helm of such cinematic classics as Dr. Strangelove, A Clockwork Orange, Barry Lyndon, Spartacus, The Shining, and Full Metal Jacket. 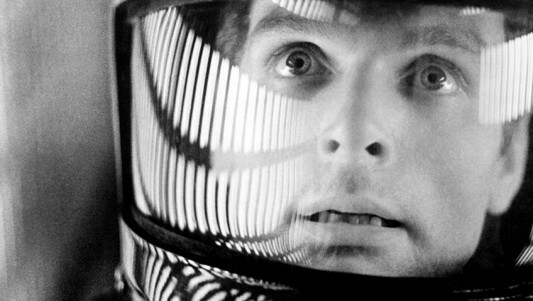 The 70mm print of 2001: A Space Odyssey will also screen across U.S. theaters beginning May 18th. In 35mm it was an incendiary, transcendent experience, which elevated every one of an audience member’s perception and senses. In 70mm, it will be an experience like no other, almost like seeing the film for the very first time, even for the biggest stalwart fan of the film. It’s befitting of a size and aspect ratio for a film that is also a massive artistic entity itself in every way, and a perfect way to celebrate its half-century point.